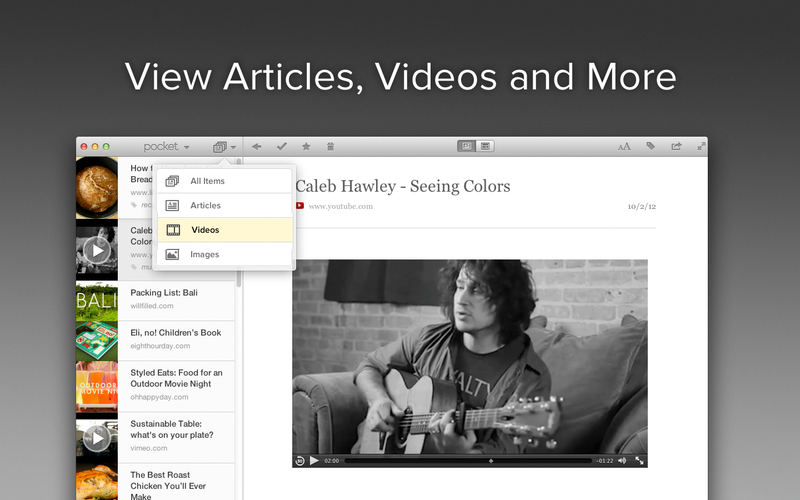 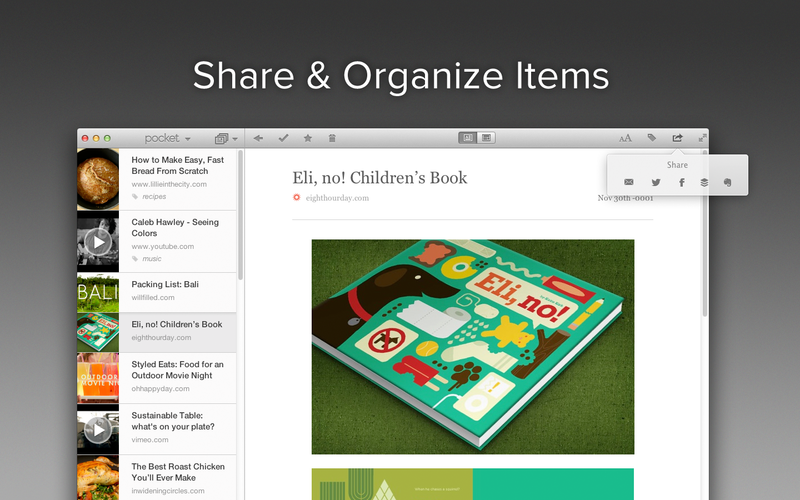 Pocket is an Mac app that lets you save interesting articles, videos and web pages you want to read later to your Evernote account. 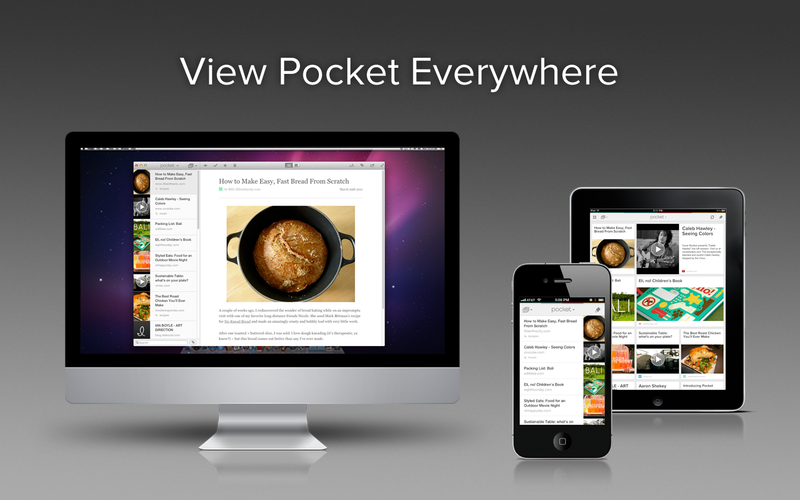 Pocket automatically syncs content to your phone, tablet, or computer so you can view it any time, even without an Internet connection. 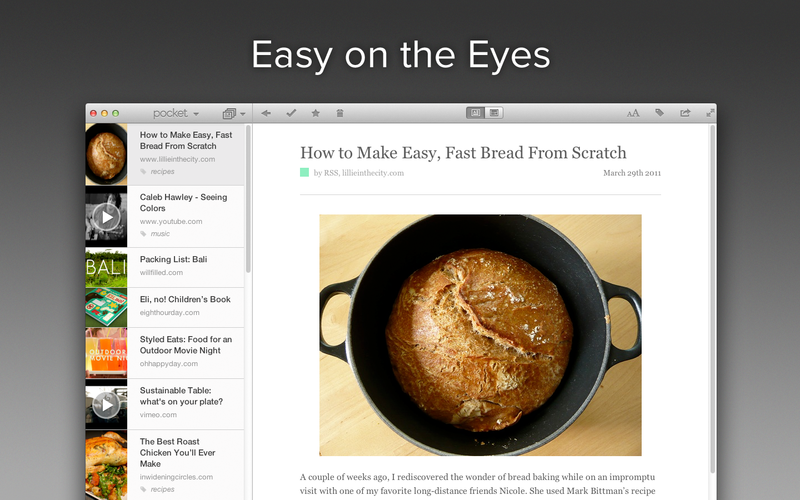 You can selectively and easily clip articles and web pages you've captured using Pocket to your Evernote account, where you can access whenever you need it, from any computer or device where you have Evernote installed.